This funky watch is made up of rotating discs which tell the time in a very unique way. 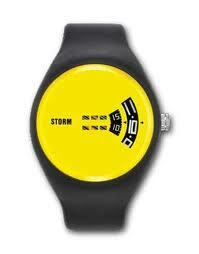 It features a comfortable rubber strap and is splash resistant. Only colours left are yellow & blue.